American Idol has now narrowed down it's top thirteen and the competition begins this week. The Voice kicked off last night with it audition round. Which show is better? I don't know that you can say one show is better than the other. You could be like me and like them both or you could be like some and not like either one of them. The Voice, is strictly based on talent. They are chosen strictly on their voice. They have to be able to sing to make the show. 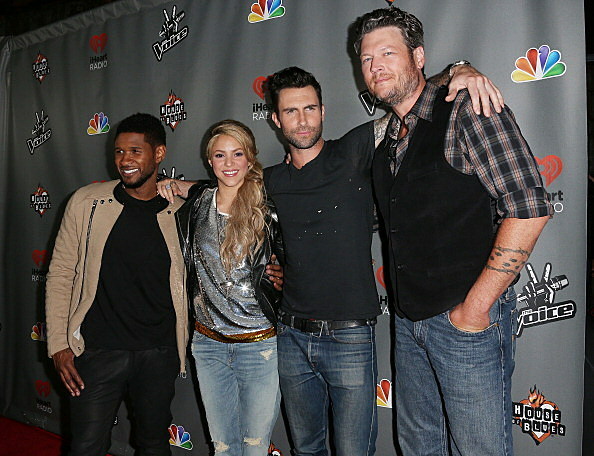 The Voice judges all seem to have great chemistry ALL of them. American Idol, seems to move a lot faster and has less moving parts. American Idol takes anyone and gives them a chance to reach their dream. The look of their judges. Keith, Harry and Jennifer Lopez. The Voice, there is a lot of involvement. You have the auditions, the battle rounds, the knock out rounds and then the competition. Also, to be a contestant on The Voice, you must have a strong musical background. American Idol, its stale. I also think Jennifer Lopez is a con on Idol. I think she is a fluffy judge, not their to be to critical like Keith and Harry. What do you think? Which one is better? Do you love them both?